Gareth Bale's versatility makes him a key asset for Real Madrid, says interim coach Santiago Solari. Bale recorded a goal and assist in Wednesday's 5-0 Champions League win away to Viktoria Plzen, scoring his first Madrid goal since September. 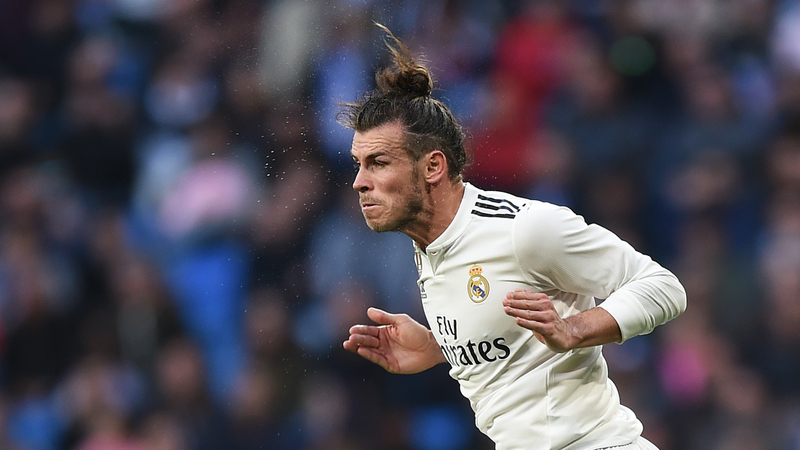 The Wales star has often struggled to find a role for Madrid, finding himself sidelined with former team-mate Cristiano Ronaldo previously favoured, but Solari feels Bale's ability to play in a number of different positions is vital. "I like him everywhere," Solari told a news conference ahead of Sunday's LaLiga meeting with Celta Vigo. "He has conditions to play on the left, on the right or centre forward, midfielder even on the left side. "What he has to do is tear up the pitch every time he goes out, just like he did the other day against Viktoria Plzen, who played a great game." Sergio Ramos has been whistled by Madrid fans since the sacking of Julen Lopetegui and the captain was arguably fortunate to escape punishment for an apparent elbow on Milan Havel that left the Plzen man with a bloodied nose during his side's Champions League win in midweek. The defender has become one of the sport's primary pantomime villains, drawing criticism for his role in Liverpool star Mohamed Salah's shoulder injury in last season's Champions League final, but Solari defended the skipper, who apologised for the Havel incident on social media. "Ramos is a brave and honest man," Solari added. "All of us who play football know that it is a contact sport, with men fighting for a ball on the ground or in the air. There was no bad intention. "No one's nose is more fractured than Ramos. He knows in his own flesh what this sport is. There is no bad intention, always play fair and this is a contact sport." Reports have suggested the Celta Vigo match could be Solari's last game in charge before Madrid make a permanent appointment, with an international break coming up. But Solari, who has overseen three wins out of three since stepping in for the sacked Lopetegui, is not worried about the future. "Every game is crucial, because many things, if you lose points you cannot get them back, we can only think about the next game," he said. "I focus on that and I think that it's good that everyone only focus on that, we cannot think about further in the future, it's not our job, the job of the ones closer to the field is to be fully focused on the next game."